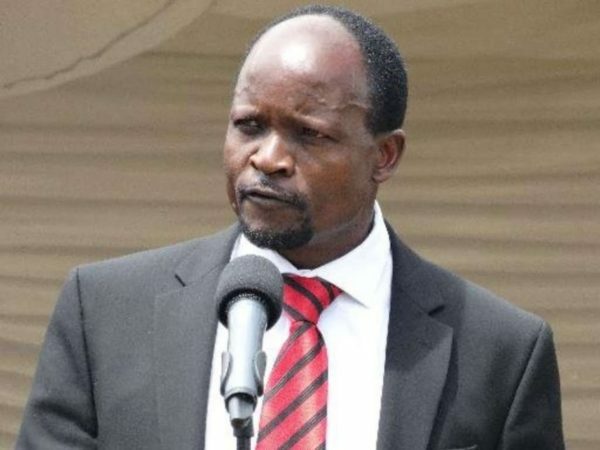 Residents of Kegonga in Kuria East nearly stoned Migori governor Okoth Obado as he made his speech about bank project where he opened a maternity ward. He was forced to cut his speech and run for safety after the residents accused him of sidelining them. Obado was trying to explain to the residents why his administration chose Rongo, Migori and Awendo towns as the beneficiaries of the Ksh516 million project. The residents were angry with his explanation and decided to hurl stones towards the Migori governor. His bodyguards secured the governor after the residents threw stones and clubs towards the podium. Obado was speaking against the area MP Marwa Kitayama whom the governor was accusing of using the project to spoil his name. The governor insinuated that the Kuria East legislator was working for some and that whatever was being planned against him would not succeed. “I have tried to explain to my brother the truth about the World Bank project but he has refused to listen. He wants to incite the Kuria people against me so that they can think Obado is such a bad person. He is the only one who knows his aim of besmirching my name. “He is here and I do not want to speak behind his back. So my brother, on a sober note, let me tell you whoever you are working for, you will not succeed,” Obado said to the gathering. The angry MP walked to the podium to stop the governor from the accusations he said that the governor had denied Kuria from becoming a municipality. “If governor Josephat Nanok of Turkana gave Kakuma refugee camp a municipality, what of Kuria which had a municipality at Kehancha since time immemorial? Then when we demand to know we are accused of playing politics,” Kitayama accused Obado. He said that he he supported the project but only wanted to have Kehancha as a municipality.